Couter Top Space Hanging Brackets, Screws And Anchors Can Be Inlcuded. 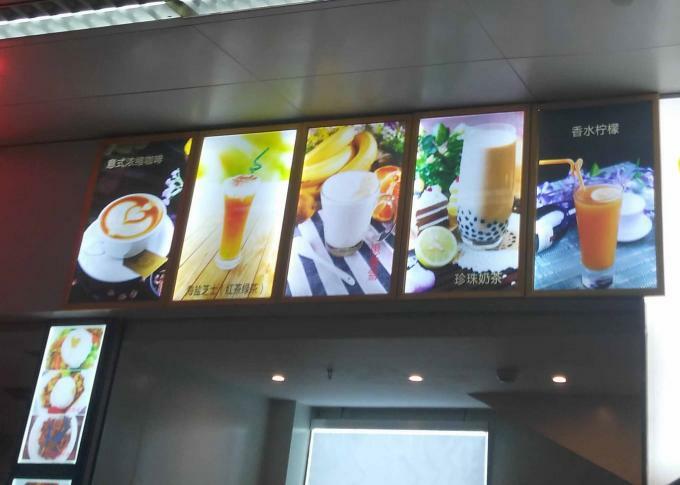 Menu boxes are very useful in terms of both the interior and exterior of a business, especially for restaurants, cafes, or fast food establishments. 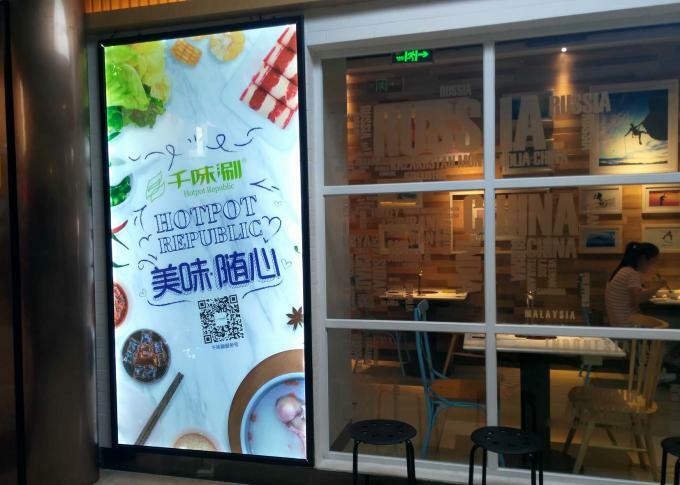 In general, menu boxes signs are usually used to display the latest goods, deals, or meal offers in order to tempt hungry customers inside, and this is why many menu boxes are placed outside and lit, so there is no chance of missing that all important custom. 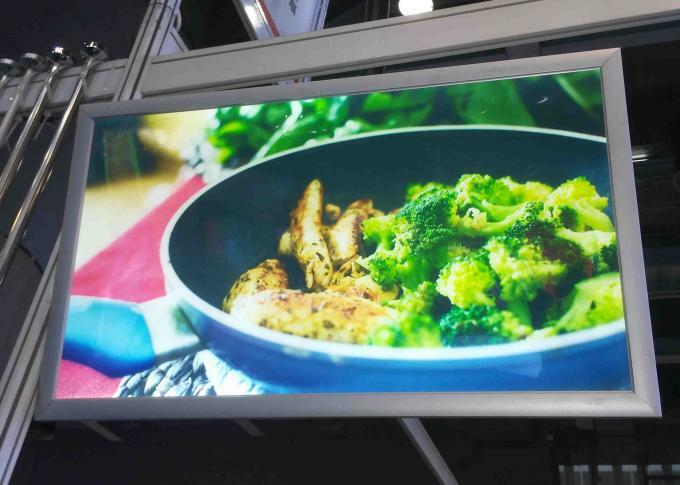 While this is certainly the main use for a lit menu box, there are a number of additional advantages and uses these flexible signs can offer to a any business that focuses on food, drink, or even leisure in general. 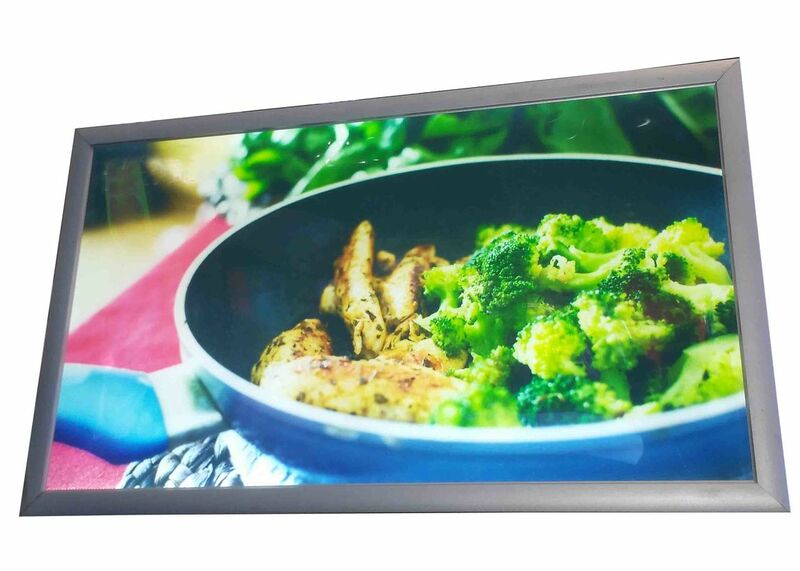 If you are opening restuarant or food store, wanting light box for display, this will be an good option. It's more economic than you buy in local. We are given manufactuer price . Warm people's eyes by frames and graphics color comparison. 4. Vivid light colors' advertisement media or poster is excellent for this dark color frame. Basing on this Curved Frame Style, Specified wooden liners and color shade could be customized basing on your buying qty. General Indoor or Semi-outdoor Usage for all restaurant and foods store location.